The Saint Hilary School community celebrates full parent engagement throughout the year, with many community events and activities facilitated by the Tiger's Parent Association. The Tigers' Parent Association's primary purpose is to build community and develop effective fundraising events. 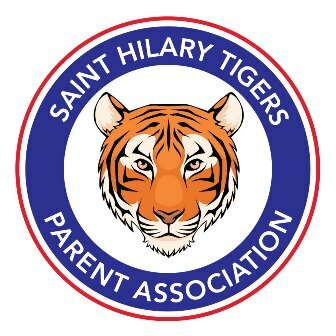 This means every Saint Hilary parent is a member of the Tiger's Parent Association. Please feel free to stop by and visit any of our scheduled meetings. Among our many annual events include: Grandparents Day, Blessing of the Pets, Mother Son Dance, Father Daughter Dance and Teacher Appreciation Events. Additionally, the Parent Guild facilitates fundraising activities including the Annual Auction, Book Fair, and eScrip. The Tiger's Parent Association annually elects five board positions and appoints numerous chair positions. The Tiger's Parent Association Board is also available to answer questions about school events and they serve as liaisons between new families and existing school family members. Look for TPA meetings, events and social functions in the school calendar. So, don’t be a stranger! Come and join us any time! Promoting and supporting Saint Hilary School's academic goals. Generating financial support for Saint Hilary School (Annual Auction, Book Fair, Hot Lunch, Afternoon Electives, EScrip, and more). Last year, including the combined fundraisers of Parent Guild and the Angel Fund, we collectively raised $400,000! Facilitating a volunteer network that allows each family to select how they will fulfill their required service hours: 40 hours/two parent and 20 hours/single parent families. Our Parent Guild pamphlet describes the many volunteer opportunities. Fostering Christian values, community spirit and sociability among families. Enhancing communication between parents, administration, faculty and parish. Get ready for the 2018 Annual Auction Gala Coming Soon! Our committee members have been working tirelessly over the summer to deliver a memorable and successful auction for this school year. Stay tuned for details!